Posted by Paul Kiser in Human Resources, Lessons of Life, Management Practices, Passionate People, Public Relations, Re-Imagine! My GPS has the locations of most Starbucks stores in my area programmed in with the name and location; however, I have one store programmed in as Starbucks One. 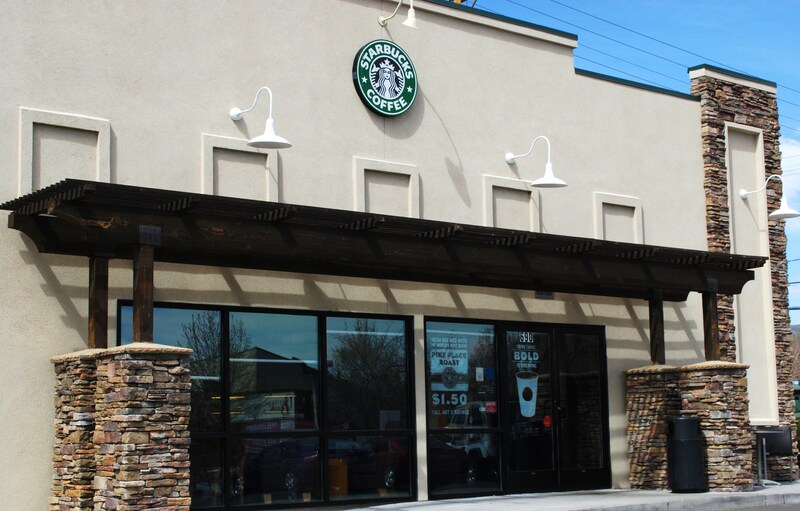 That would be the Starbucks at Keystone and I-80 in Reno, NV. I refer to it as my home Starbucks. I typically spend 15 hours or more per week at that one store. Why? Despite that there are two other Starbucks stores closer to my home, I come to this store for one reason…the staff. I used to split my time between several Starbucks stores and I have come to spend more time (and money) in this one location because of the people. It’s not to say that the staff at the other stores weren’t friendly, but this staff is friendly and genuine. They are always courteous and respectful, but they also know me as a person. I’m not the almighty customer…I’m just Paul. In return I try to respect that they are on the job, so I try to avoid engaging in too much conversation if they seem busy. It is likely that part of my attachment to this location was created when one of the staff had come during her day off as a customer and we engaged in a conversation for a half an hour or more. After that I got to know several other members of the staff and now there are very few of the day staff that I don’t at least know by name. I have also come to appreciate the challenges faced by everyone from the Store Manager to the newest team member. There is a special chaos caused by customer contact that occurs on a minute basis and from multiple directions. Walk-in, drive through, noise, people spilling drinks, the occasional homeless person, keeping the tables clean, too cold, too hot,..the list of distractions goes on and on. It is a pressure environment and I try to not contribute to the stress. Every time I hear a person try to up-sell me at a fast food place I can hear the voice of some Senior Vice President who sat in around a nice wooden table, saying, ..”you know, if we can just up-sell five percent of our customers we will make $2,000 per day per store!” It all sounds great to the guy who is more concerned about the weather for his Friday golf date than treating his employee’s with respect, but annoying the customer has a greater long-term impact on profits and everyone seems to know this except the people in the Crystal Palace known as corporate headquarters. What brought me to Starbucks were Chai Tea, brownies, and free WiFi (I have AT&T at home so it’s free for me at Starbucks). What keeps me coming to Starbucks One are the people. I wanted to write a blog about Re-Imagining! Starbucks in 2014, and I will in a Part II blog, but today I realized that the Starbucks won’t be around in 2014 without the people who manage the chaos and still seem to be happy that I came in today. Thank you (in the order we met) Katie, Laura, Vicky, Stacia, Sarah, the other Katie, Kelsey, Jenna, Marissa, Khris, and the rest of the team! Thanks to you and the Starbucks team. My next blog will be on wild ideas for the future Starbucks store.